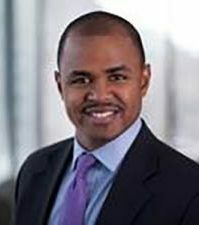 Edward Lawrence “Lance” Williams, II serves as an Associate Director for BP America’s Federal Government Affairs team based in Washington, DC. As one of BP’s federal lobbyists, he represents BP’s Integrated Supply and Trading (IST) business in front of federal-elected and appointed officials. Prior to this role Lance served as a Director on BP America’s Regulatory Affairs team, managing the team’s priorities and coordinating strategic outreach efforts. Lance previously served in politically appointed positions serving as business liaisons at the United States Treasury Department and the U.S. Department of Commerce. He also served on the Steering Committee for the White House Business Council. In these capacities, Lance was a business advocate in the Obama Administration, ensuring that the private sector and public interest groups had access to senior government officials in order to enable informed policy making decisions. He was also responsible for introducing businesses to new domestic and international market opportunities, engaging businesses across the country on priority economic issues, and keeping cabinet and sub cabinet members briefed on industry priorities. Prior to his work with Obama Administration, Lance joined Presidential hopeful and then-Senator Barack Obama’s Campaign for Change as a volunteer in Chicago, and then as an Organizer and Base-Vote Director in Georgia and Florida, respectively. Lance started his career with BP’s IST business in Chicago, IL as a Trade Analyst. Lance received his Bachelor’s Degree from Morehouse College and currently lives in Gaithersburg, MD with his wife LaRae and two daughters Layla Madison and Anaya Grayce.